So, I started buying my own comics with aplomb. 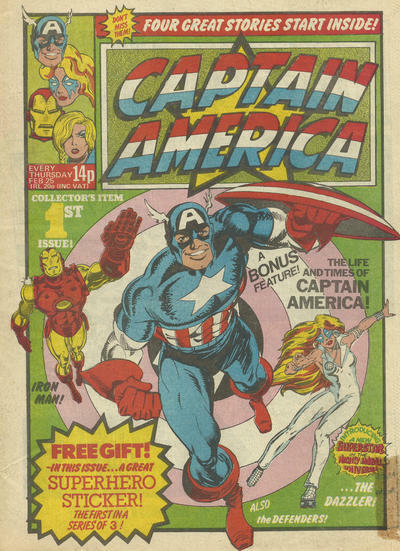 The US titles were a bit of a scramble: with no idea of schedule, they just seemed to appear in random selections at the newsagents so there was little chance of following anything regularly. 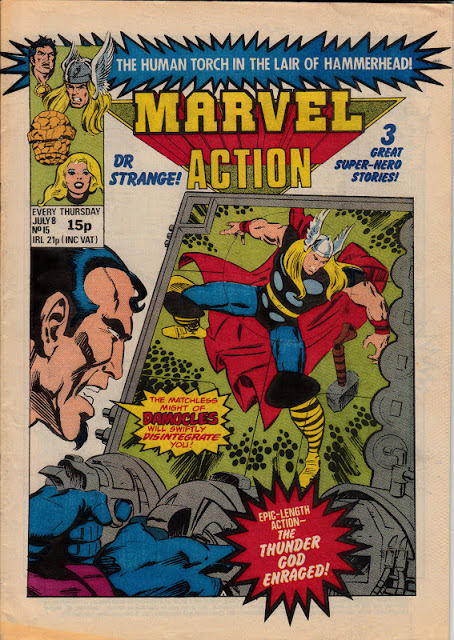 The Marvel UK titles were a different thing entirely, appearing each week and easily obtainable. 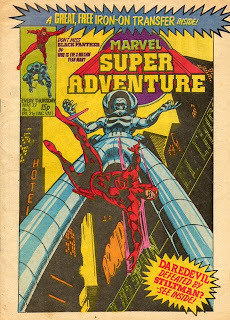 The Dez Skinn titles were eventually replaced by less interesting fare like Marvel Action (reprinting Buscema Thor), the seriously awful Marvel Super Adventure (Colan DD and Kirby Black Panther)Glossy-covered weeklies and Captain America (featuring Iron Man and Dazzler backups). 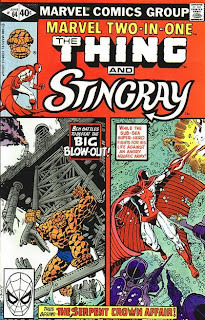 Eventually the line metamorphosed into a slicker affair, with the return of glossy covers, the addition of partial colour interiors and nice Alan Davis-drawn headers for each strip. 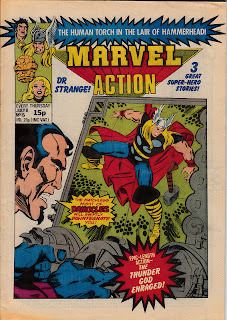 Sadly, titles like Thor and The X-Men were not only already antiquated, reprinting 60s work by Kirby, but the awful colouring problems helped make them entirely unpalatable. 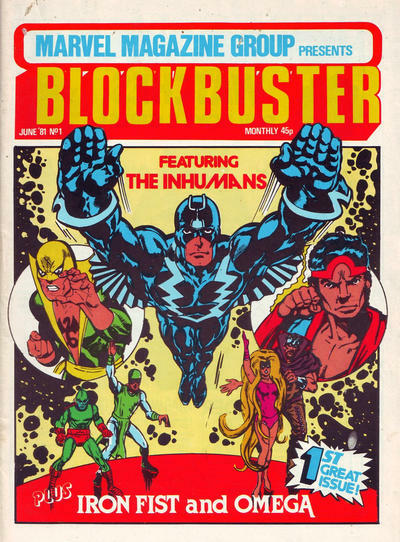 Blockbuster was the only notable new monthly but this quickly faltered despite an interesting mix of Iron Fist's original series, the Neal Adams Inhumans and obscure character Omega the Unknown. With the US titles, my loyalties would swing from time to time between Marvel and DC as I navigated the waters of the comics world and learned my tastes. Essentially though, I was a Marvelite. A lot of DC product didn't appeal to me (Superman was just so old-fashioned in the 70s/80s, the war, supernatural and western genres of no interest) but I usually enjoyed any Marvel issue I read...except if it had poor art, a problem I still struggle with.I loved Marvel Two-In-One...until Ron Wilson took over from Perez but I didn't really have an early fave title, picking up whatever struck my fancy. 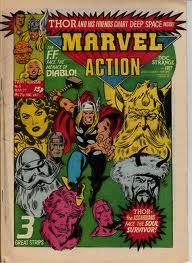 Somewhere along the line, comics kind of fell away for me. 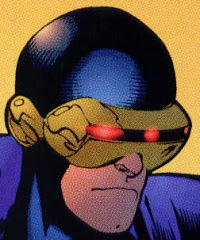 I hated Cockrum's return to the X-Men (though loved his first run) but enjoyed the dying months of the Byrne reprints, following it from Rampage to Marvel Superheroes and finally to a relaunched, horrendously produced Mighty World of Marvel. When the Byrne run finished, I dropped comics altogether. I probably would have still followed Captain Britain in the Daredevils but I never saw that. 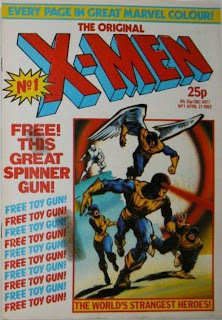 According to the Grand Comics Database, that would have been 1982. 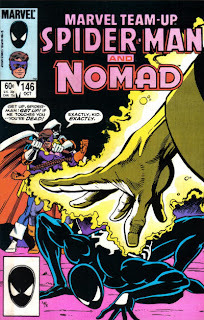 Couple of years later, I was bored rigid in 3rd year physics and began doodling Shang-Chi on the cover of my roughbook. The guy I was sitting next to recognised it and we got talking. 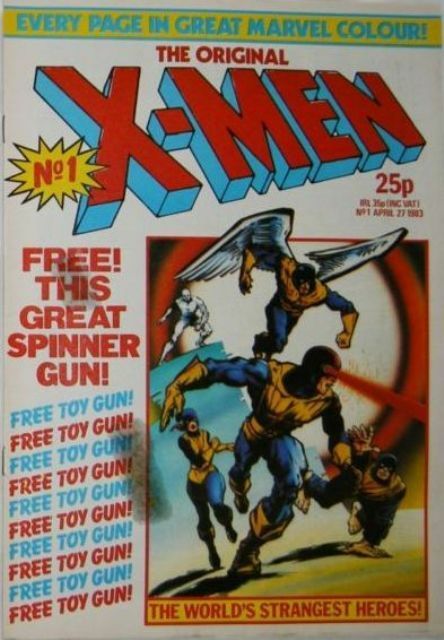 He had still been buying comics regularly and had healthy runs of certain titles as he lived about two minutes away from a newsagents. I couldn't believe what he was telling me. Spider-Man has a new black outfit? So do the FF? Robin is now Nightwing? There's a Secret War? Even bigger stuff coming for the DC characters? My mind was reeling about all these developments and then not long after, I ventured into a newsagents, dragged in by mum. 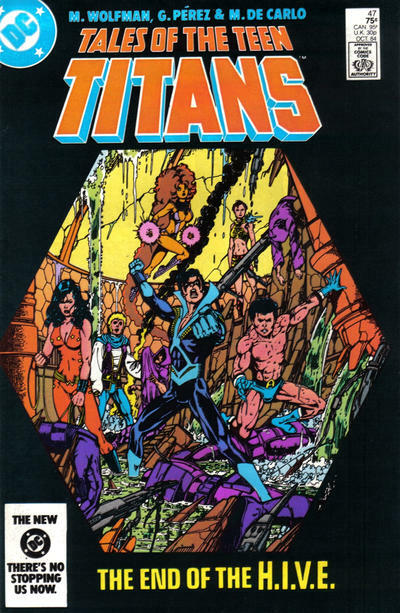 On the shelf, I saw a copy of Tales of the Teen Titans #47. Nightwing seemed to be shouting at me, demanding my attention. 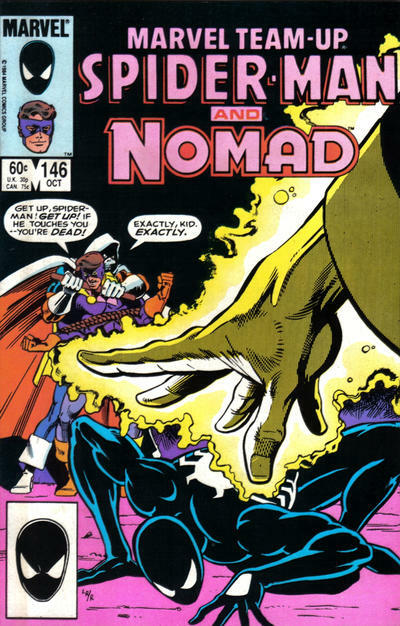 Right next to it was Marvel Team-Up #146, featuring the black-garbed Spider-Man.